The under 25 and over 25 workshops are identical except for the age of participants and the cost (the under 25 year olds pay less). Each is a fourteen-week trad jazz workshop: twelve weeks of workshops (Saturdays 1-4pm), plus group practice sessions and a final break up presentation. Each is conducted by well-known and respected jazz musicians who pass down Australian trad jazz’s tradition of improvisation and creativity. The workshops are for people who have an interest in making friends, learning to improvise, and the joys of jazz. 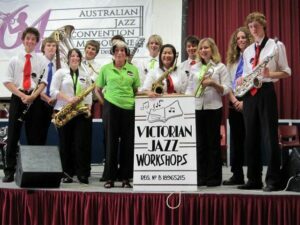 Participants must be proficient with their instrument, able to play scales and arpeggios, and be a member of the Australian Jazz Museum. If you are 25 years old, you may participate in both workshops. If you are under 25 years old, but very keen and proficient, you may be able to also participate in the over 25’s workshop. Saturdays from 1-4pm over 14 weeks, once a year. For the dates of the next workshops – see Upcoming Events. If you are a drummer or piano/keyboard player: no need to bring anything, everything is provided. If you are not a drummer or piano/keyboard player: bring your instrument. Open only to members of the AJM. 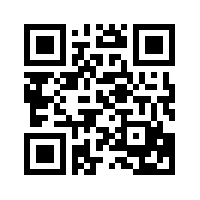 (Become a member). The fee for the workshops is $60 + $25 membership- Total cost $85 for the under 25’s, and $180 + $50 membership – Total cost $230 for the over $25’s. The jazz workshops are run at the AJM by an independent business under the direction of Marina Pollard.